Beets may not be a dinnertime staple, but here’s why they should absolutely be in your diet! This vibrant root veggie is popular for runners (and athletes-alike) because of their incredible effects on endurance and stamina. Loaded with vitamins, minerals and phytonutrients, beets have also been shown to lower blood pressure, fight inflammation, aid in detoxification and combat certain diseases. Bake ‘em, broil ‘em, steam ‘em, juice ‘em… find a way to enjoy them and do it often. Your body will thank you! f you’ve ever eaten asparagus, you know it can make urine smell odd. 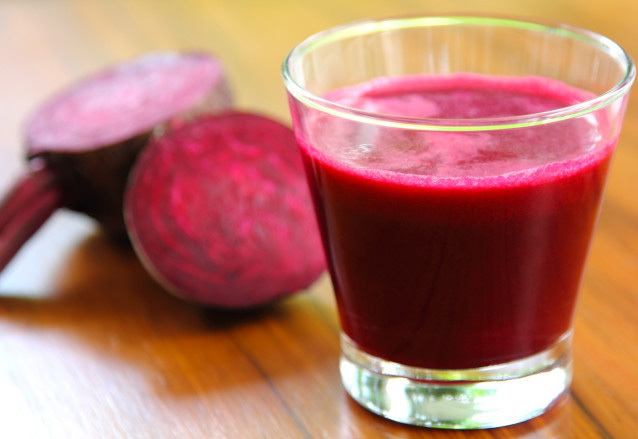 In some people, eating beets turns urine pink or red—which can be alarming because it looks like blood in the urine. These odor and color changes are harmless. But if urine smells sweet, that’s a cause for concern because it could mean diabetes. So how do you know when to relax and when to consult a clinician? The June 2010 issue of Harvard Women’s Health Watch offers a guide to the foods, supplements, drugs, and medical conditions that can affect the color and odor of urine. Blackberries and rhubarb, like beets, can temporarily turn urine pink or red. Rhubarb can also turn urine dark brown or tea-colored. Carrots, carrot juice, and vitamin C can give urine an orange hue, while B vitamins can turn it a fluorescent yellow-green. Asparagus sometimes gives urine a greenish hue as well as a distinctive smell (often likened to rotting cabbage). Medications can change the appearance of urine, too. Place all ingredients through your juicer and enjoy! Read more about the amazing benefits of beets here.